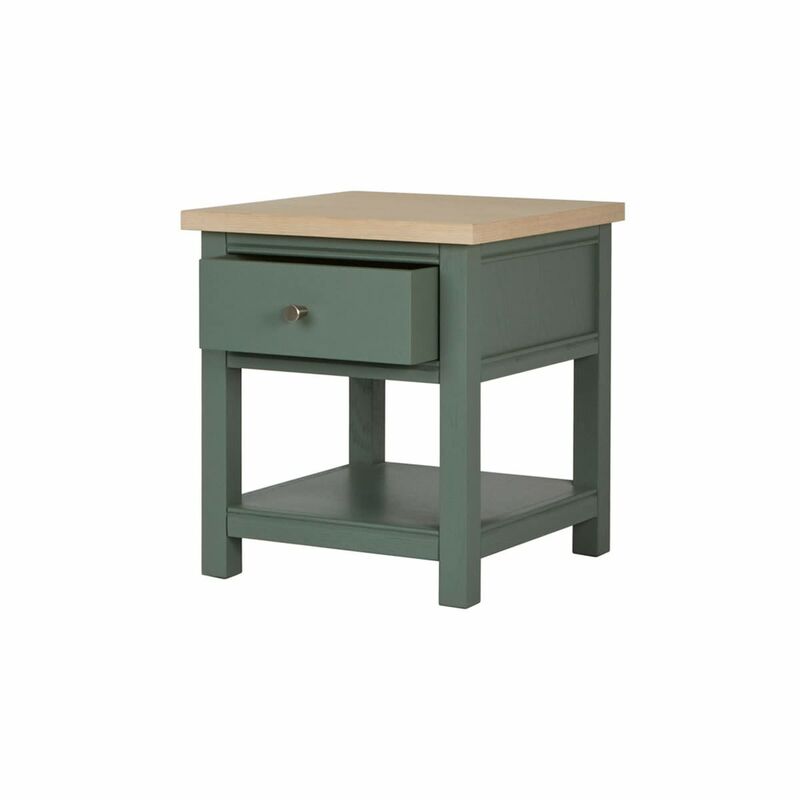 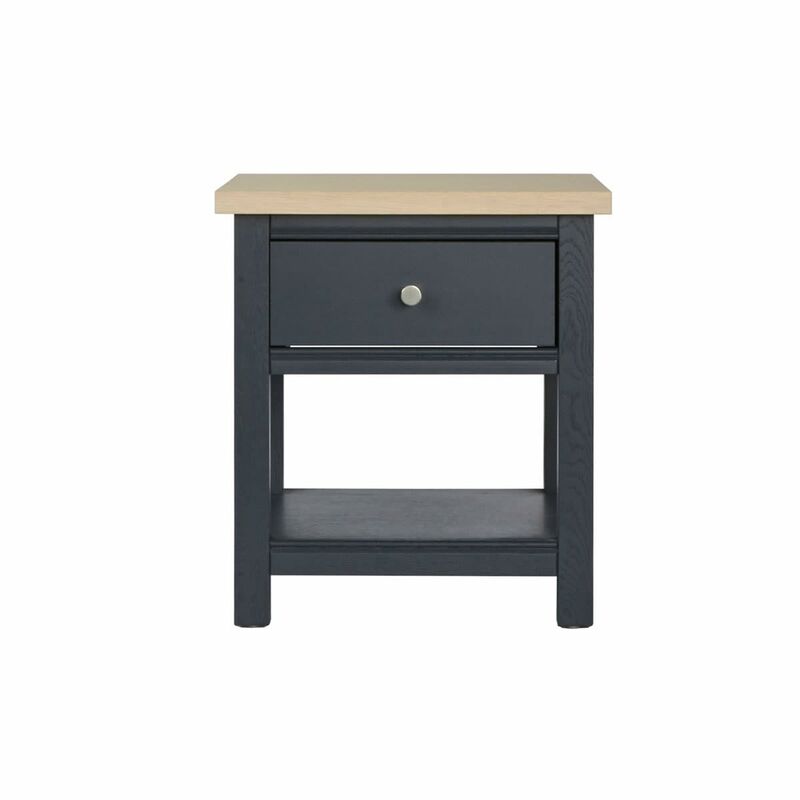 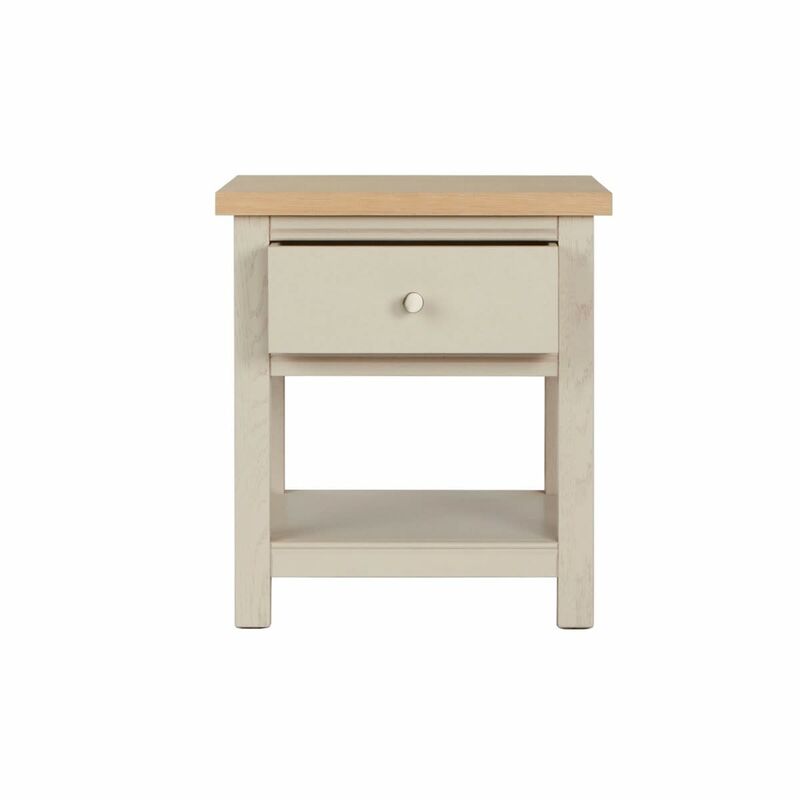 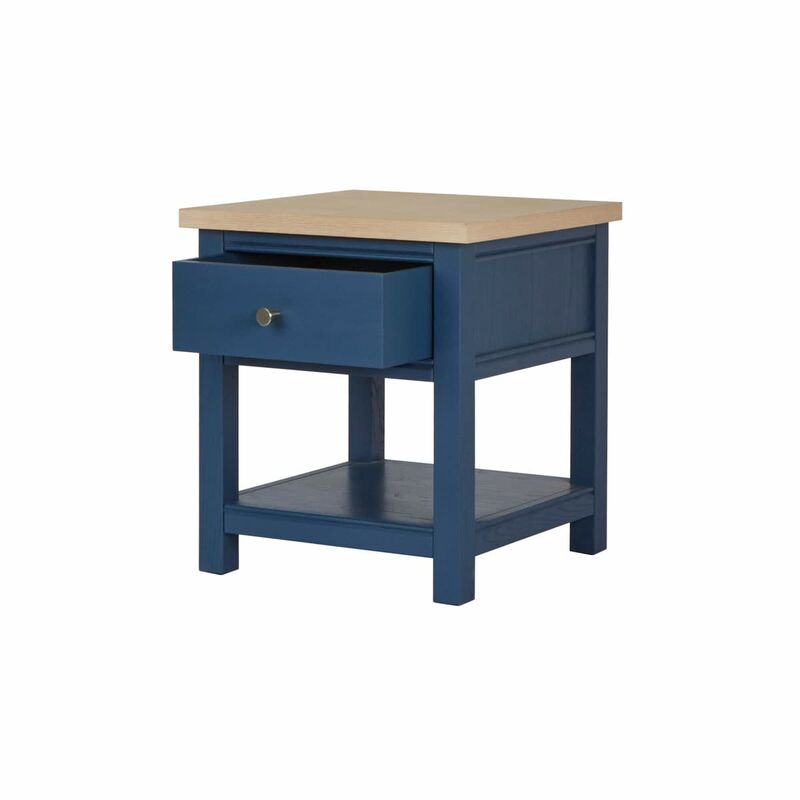 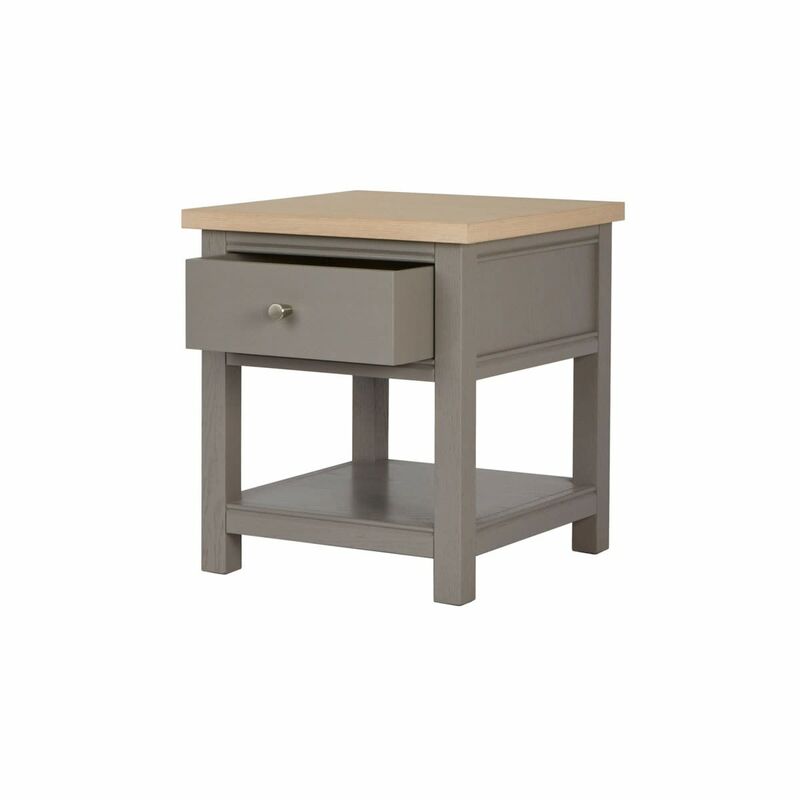 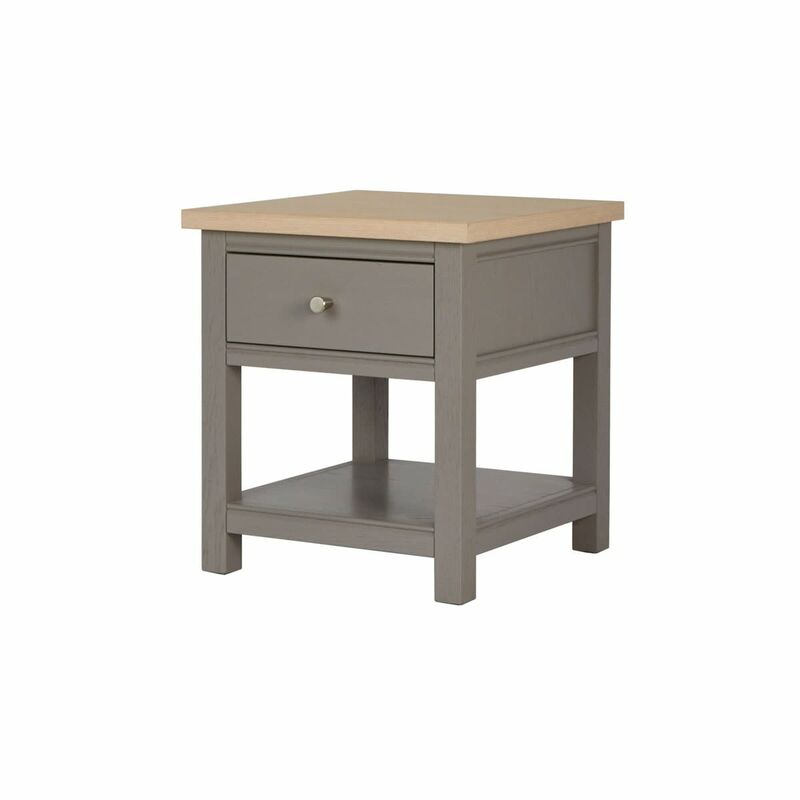 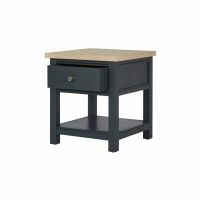 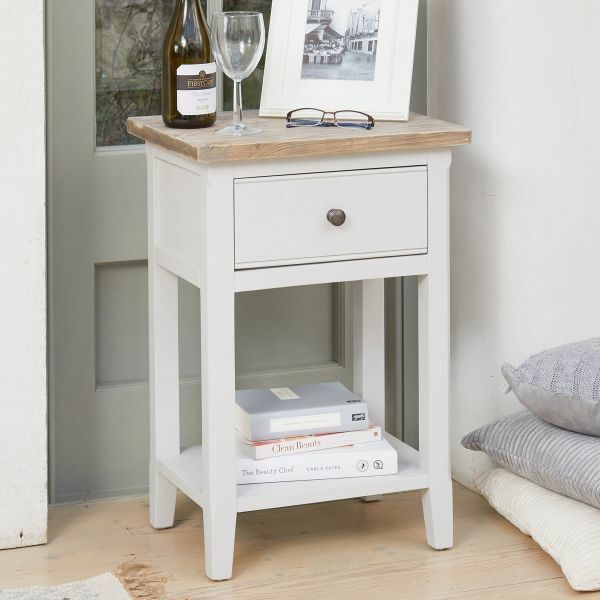 Smartly turned out, the Rushbury Painted Lamp Table will be useful all over the house. With a handy drawer and lower shelf, it could be used to hold a lamp in a dark corner, in the hallway topped with flowers or next to the sofa, as the perfect spot for a cup of coffee. 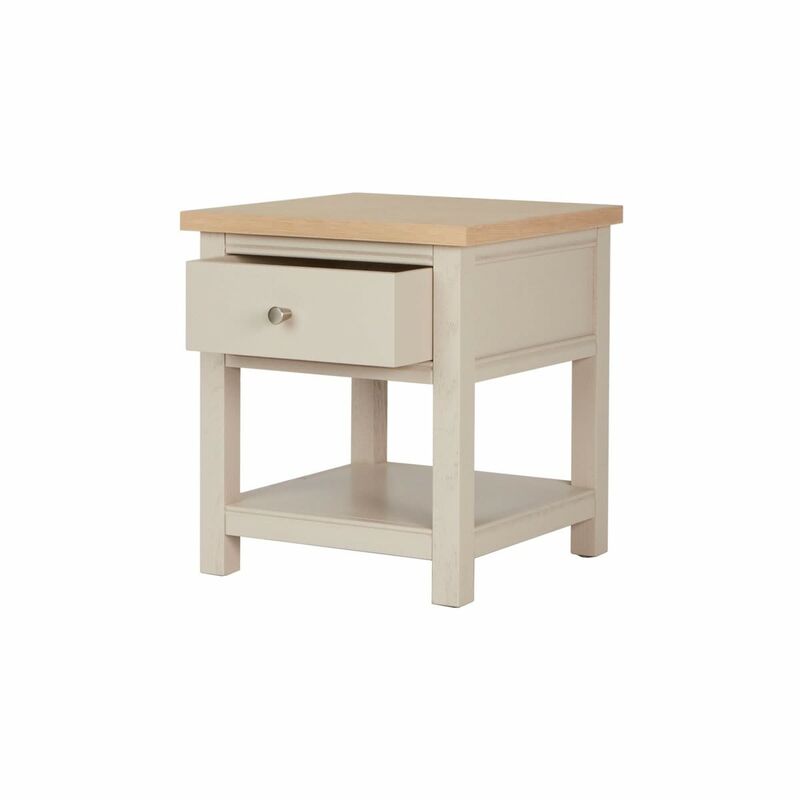 Where ever you use the lamp table, its country good looks and contemporary style would sit well in any room. 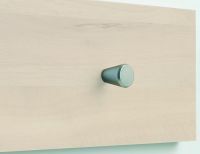 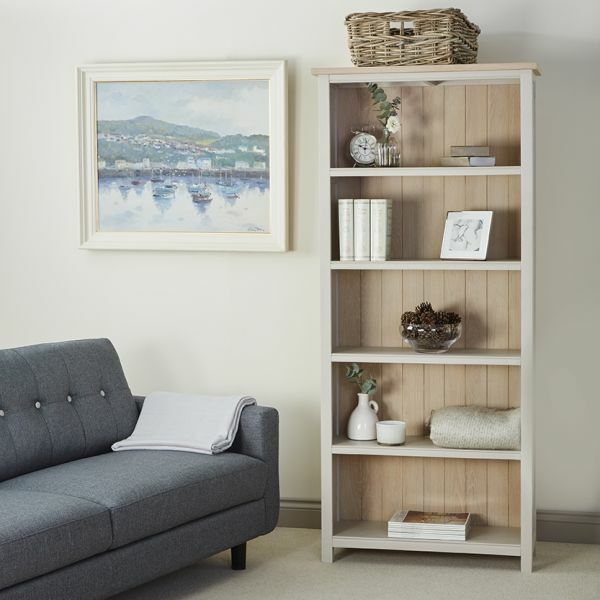 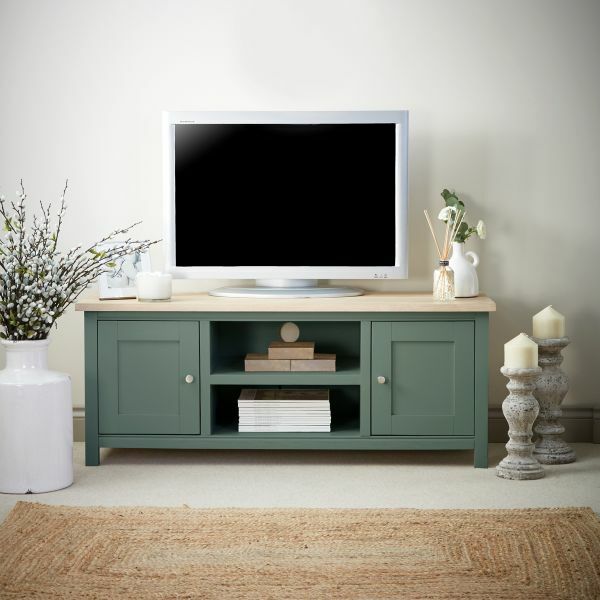 Crafted from oak, and has been hand painted in a choice of six different colourways. 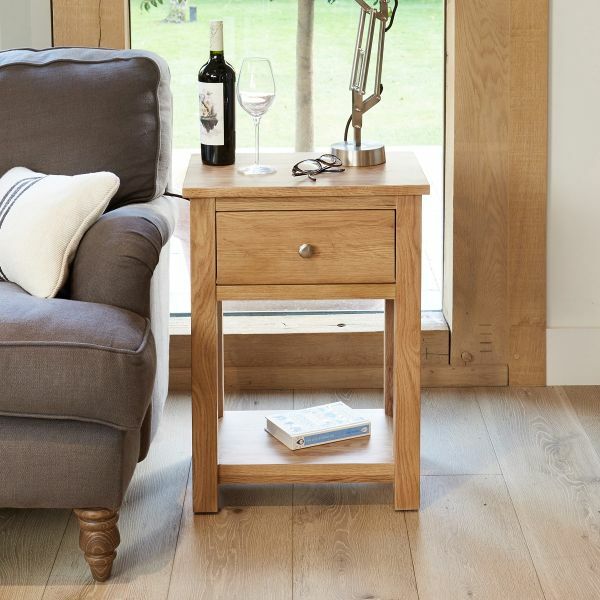 The top is a contrasting oiled oak and the lamp table is supplied with a choice of two different elegant handle designs. 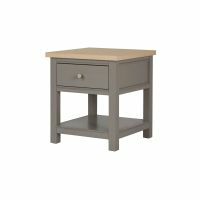 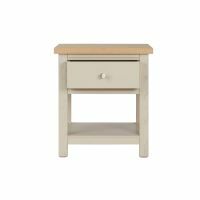 Crafted from oak, with a hand painted finish in a choice of six colour ways, this lamp table is made to order, superbly built and is delivered fully assembled within three weeks days. 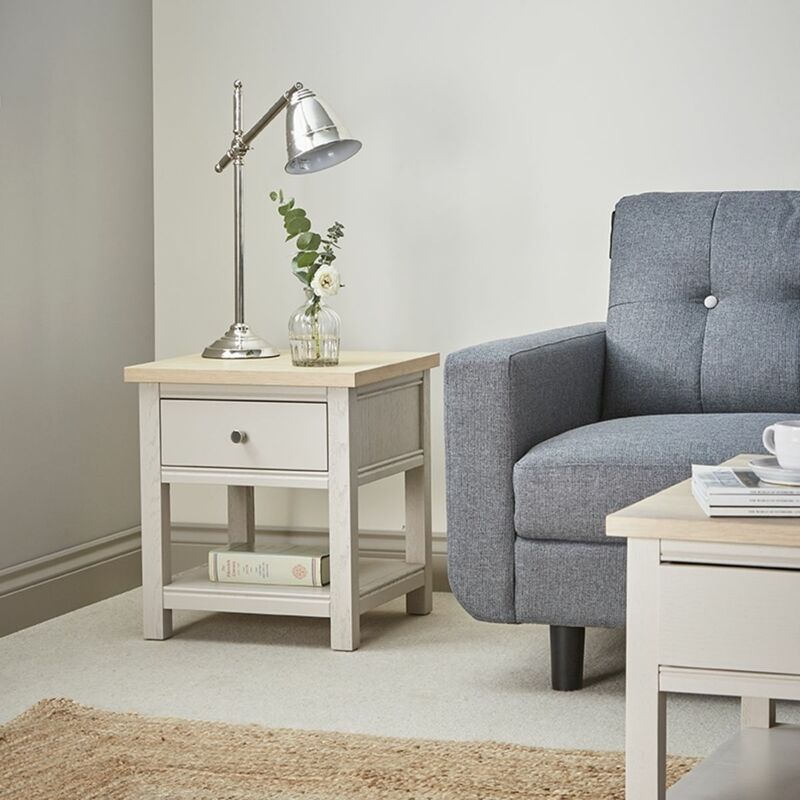 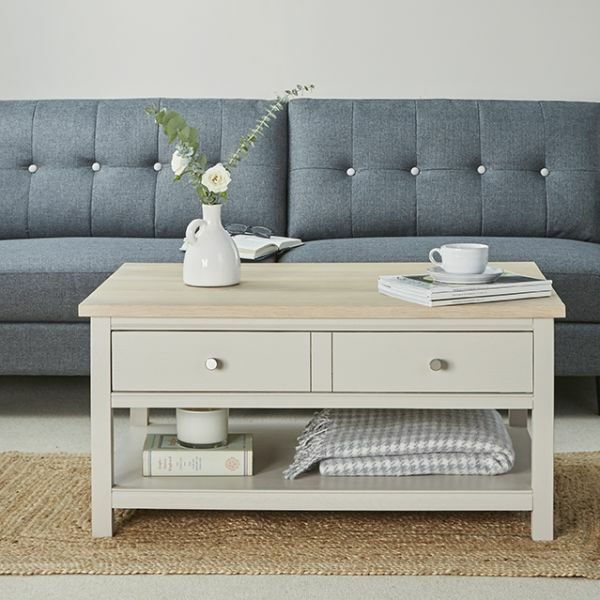 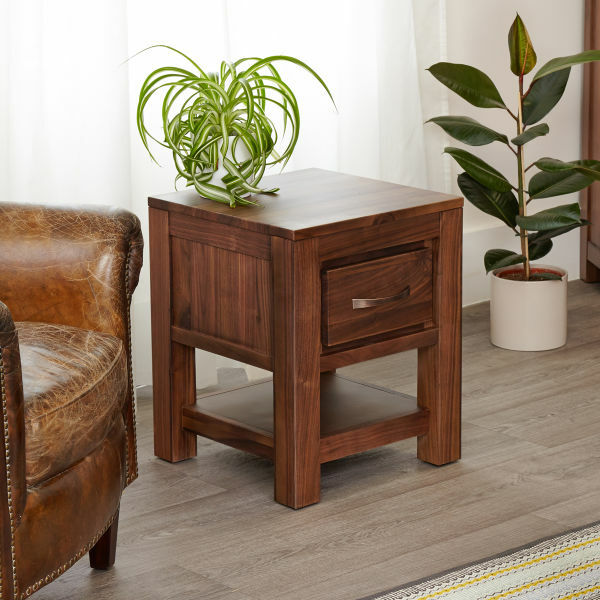 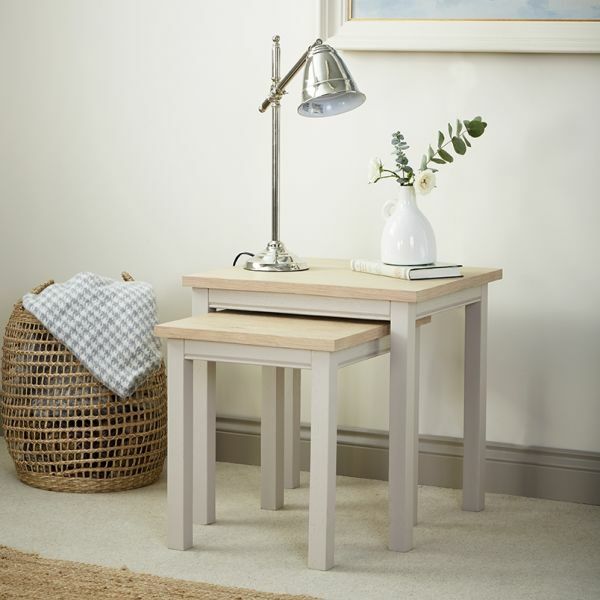 If you're looking for a smart alternative, why not consider one of our best selling Mobel Oak lamp tables?